Affiliate marketing is a win-win opportunity for business and customers and an easy way to earn money online. The company has the product and the people have the audience that might be interested in it. This is why the business is ready to share a cut of profits with loyal customers. VIPole affiliate programs are easy to enroll and to participate, and with a serious approach to your business, you can earn even more. Every effort is followed by inspiring results. 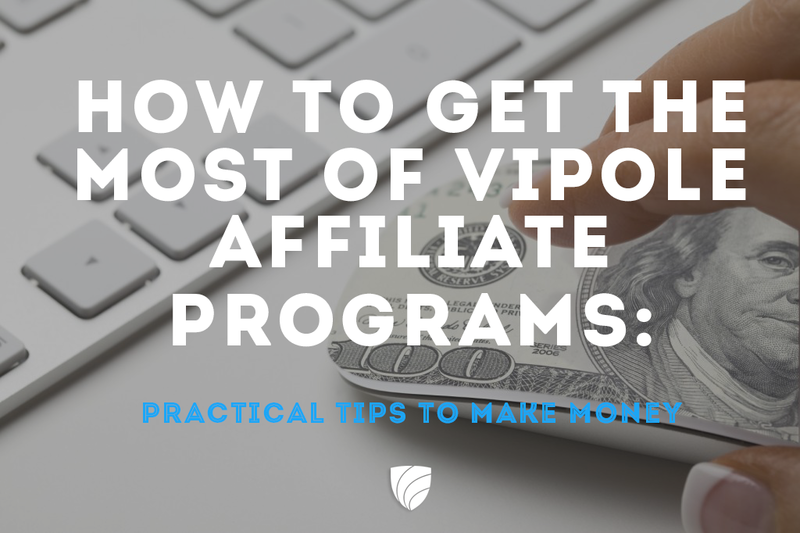 We have gathered practical advice on how to make participation in affiliate programs more profitable, and we observed it with VIPole features and the terms of the Business Club in mind. VIPole partners and Business Club members get money for promoting VIPole products from their home. With dedication and masterhood of participants, affiliate programs bring significant extra money. There are multiple ways for attracting people and benefiting from their activity. This entry was posted in VIPole messenger and tagged affiliate programs, affiliates, Business Club, business messenger, enterprise im, VIPole Partner on June 30, 2016 by VIPole. The overall traffic in messaging apps is expected to more than triple by 2019 since 2014 – from almost 31 trillion to 100 trillion globally, according to Juniper Research. Messengers are the technology that facilitates both entertaining activities and business collaboration. Over the top communication is quick, easy and cheap and it will connect people in so many new ways during the upcoming years. Today we will speak about the features that enrich messengers in order to give you more than just an opportunity to send a «Hello, where are you?» message. 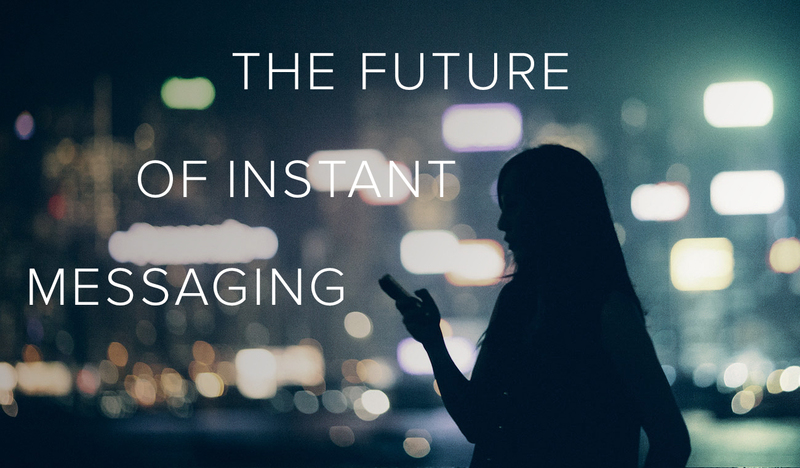 The start of 2016 has proved that the global audience has shifted to messengers. According to the Business Insider report, the combined user base of the top four chat apps is larger than the combined user base of the top four social networks. This popularity is predictable: it’s cheaper than traditional telecommunications, it has more features than e-mail and it’s more private than social media. On top of that, the cost of plain smartphones has become relatively low, and the interface of messengers is easy even for your grandmother. This entry was posted in VIPole messenger and tagged business messenger, encryption, messenger, privacy, teamwork on April 19, 2016 by VIPole. With the major part of daily human interactions occurring in messengers, business issues are discussed there along with personal affairs. When different friends and colleagues prefer different chat apps, all conversations are distributed across several more or less secure services. This is when confidential corporate data is vulnerable. Corporate emails and traditional telecommunications are no longer efficient enough, and everyone is online in messengers day and night. Smart online collaboration between coworkers has become a necessity in today’s business environment. Permanent involvement in discussions and decision-making is integral for success. To satisfy the demand for permanent connection and avoid leakages, companies aim to unite communications in a single system. The corporate messaging trend is quite hot now and constantly transforming as new services provide new opportunities. When a team needs chats, collaboration tools and video conferencing, the first service that comes to mind is Skype with its cloud and server solutions. This is the field where we are together, as VIPole also unites teams and brands on cloud and server platforms. When it comes to functionality, we really have a lot in common, but our approach to privacy and security differs fundamentally. In this post, we speak about the functionality, safety and cost of VIPole enterprise solutions and Skype for business and make recommendations on reducing the risks that business data faces daily. This entry was posted in VIPole messenger and tagged business messenger, corporate messenger, data encryption, project management, Secure communication on March 16, 2016 by VIPole. 2015 was a lucky year for VIPole: we have expanded our developers’ team, released the long awaited iOS version, launched fundamentally new multiuser conferences and added new features for privacy protection and business collaboration. 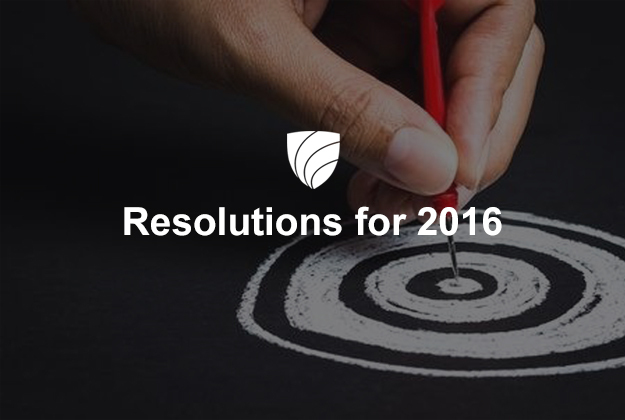 That was a productive year, and our team will continue this course in 2016 with many inspiring ideas and innovations. We are already testing some of the new features, including the upcoming iOS updates that will be soon released. The release of the open source VIPole client. VIPole Everywhere technology – empowering users to communicate directly with each other, bypassing VIPole servers. The White Label solution – VIPole technologies with individual branding. Certainly a bunch of new features for all VIPole versions. The iOS app will evolve significantly. Videoconferencing will include new collaboration features and new formats of data exchange. This entry was posted in VIPole messenger and tagged enterprise im, ios messenger, open source, p2p, peer-to-peer, secure ios app, videoconferences, white label on February 2, 2016 by VIPole. VIPole iOS app is on the App Store – download and explore! What we all have long been waiting for is now here – VIPole 1.0 for iOS is on the App Store and you can download it and start chatting today! December is the time for miracles, and the result of efforts of all our team is also a sort of a miracle – created for the people, by the people. We hope you like the lovely and handy design of the app with all the core VIPole features. Encrypted instant messaging, group chats and secure voice calls cannot wait to assist your daily interactions. Download and explore! Use VIPole on all your devices to increase productivity: the app is crossplatform and synchronizes your data across mobile and desktop devices. Set the synchronization period that is best for you. The desktop version is equally good on Windows, Linux and Mac OS. IPhone users are unlikely to use the Android devices as well, but just for your information – VIPole on Android supports file exchange and is now generally more sophisticated then the brand new iOS app. The iOS version is in soft launch and is not as full-featured yet as the desktop one and every update will broaden the communication opportunities of the app. This entry was posted in VIPole messenger and tagged ios app, ios messenger, iPhone app, secure ios app, vipole ios on December 29, 2015 by VIPole. Imagine a large estate that welcomes dozens of guests. The building has many rooms, some are hidden and only the owner knows how to get there and how to open the door. In one room folks play bridge, the other room is a dancing hall, the third room is for political and philosophical debates, a small room gives privacy for the conversation of the two. This is a natural way of human communication. When you choose one of VIPole solutions for business, you become an owner of a virtual estate, and you create rooms and invite people. Confidential conversations never leave the borders of the estate. The connected world has given us all the opportunities that we could never imagine before, but as we can be more effective now, we have to show the best of what we can do every day. Communication habits have changed significantly throughout the past decade, and internet communication has become a heavy and sometimes the dominating part of daily interactions. Chats, blogs, social media, messengers – it’s now common to participate in a group chat, that connects the parents of the classmates, in a group chat of your foreign language course or of your local volleyball team. The workplace communications tend to be more conservative, depending on the field. Tech companies and news organizations are among the pioneers who are the first to discover the convenience of messengers for business. Encrypted instant messaging for enterprises has changed the landscape of business communications, as we knew it a few years ago. Sophisticated products are designed to meet sophisticated demands. VIPole is not just an app, it can become your own private corporate messenger with encrypted conversations, group chats related to projects and secure voice and video calls. You want your team members to be always connected and discuss your projects securely, whenever, wherever. You often assemble conference calls and you want to exclude wiretapping. You care about the safety of the personal data of your employees, partners and clients. The documents you are working with may ruin everything if leaked. You don’t want them to ever be leaked or even vulnerable. You want to separate your business affairs from the free services where the service provider knows your personal data. You need a multifunctional and safe tool with all communication and collaboration features in one app. Our customers call VIPole a Skype alternative, as we offer private messaging, group chats, video calls and audio calls. But we’ve got more features for teams including task management and file storage, we are secure and we guarantee privacy for every our user. Your safety and productivity are the main aspects taken into account for the design and the architecture of VIPole. The new features we introduce are inspired by the experience and the wishes of our customers. This entry was posted in VIPole messenger and tagged data security, data storage, group chats, secure calls, Secure communication, secure messaging, teamwork, videoconferences on December 2, 2015 by VIPole. Group account or Corporate Server: what to choose for the team? Hundreds of millions of people all over the planet use messengers daily. We are all used to the convenience of conversations when any acquaintance is at the fingertips and any kind of data, be it a document or just a landscape photo, can be shared immediately, even if the data recipient is in thousands of kilometers away. As messengers became a widespread technology, enterprises got an advantage from them when they needed to coordinate a small group of people and exchange data. Still the opportunity to exchange texts and pictures is unable to cover all the communication needs of companies. Maintaining a project often requires tools that are provided by several independent services. There is one more concern – security. Employees use personal devices to access enterprise data. When conversations go beyond the boundaries of corporate data exchange – the company no longer controls the routes of the data. This risk is considered inevitable, as employees should be always connected to stay effective. When we speak about data security, compromises won’t make business safer. Encrypted communication with additional tools for data exchange and storage may be a solution. VIPole allows to control the data on all connected devices at all stages of storage and transmission. In this post, we will showcase the opportunities of VIPole solutions for teams and enterprises that can become a part of your daily private and business interactions. VIPole group chats, conferences and task management enable businesses to achieve more and protect sensitive data from intruders. With target-oriented interconnection both within the company and with the vendors and business partners all the communications of the company can be categorized into different flows. Exchange messages and files, make audio and video calls, arrange conferences and hold meetings, send large files in the middle of the conversation or call and get notifications when the file transfer is complete – it is all in one app. This entry was posted in VIPole messenger and tagged Business, corporate solutions, data security, enterprise im, Secure communication, secure messaging on November 18, 2015 by VIPole.